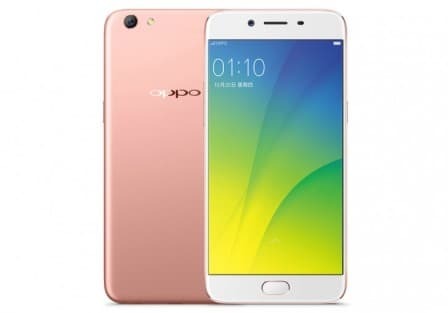 After the huge success of the F1S smartphone, Oppo has launched two new smartphones in China. The Oppo R9S and R9S Plus are the successors of R9 and R9 Plus smartphones that were launched back in March. The Oppo R9S and R9S Plus look like cheap knock offs of the iPhone but they pack in a lot of fire power and better cameras than the iPhone. 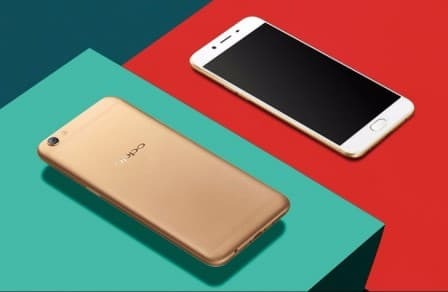 For example, the Oppo R9S and R9S Plus feature Qualcomm Snapdragon 625 chipset and Qualcomm Snapdragon 653 chipset respectively. The Oppo R9S and R9S Plus feature 16MP front and back cameras from Sony. They differ in their capabilities as we shall discuss later. Both smartphones have a fingerprint sensor on the home button and run Color OS 3.0 which is Oppo’s take on Android Marshmallow. The Oppo R9S has a 5.5inch display with a full HD (1920 x 1080 pixels) resolution. The display is covered with 2.5D curved Corning Gorilla Glass 5. Underneath the hood we have a Qualcomm Snapdragon 625 chipset that houses a 2 GHz octa-core ARM Cortex A53 CPU, Adreno 506 GPU and 4GB of RAM. It has an internal memory of 64GB and expandable storage with help of microSD cards of up to 128GB. The Oppo R9S has a hybrid SIM slot. The 16MP rear camera on the Oppo R9S has f/1.7 aperture and electronic image stabilisation. The front 16MP camera has f/2.0 aperture. The Oppo R9S is powered by 3010mAh battery that supports VOOC fast charging. The Oppo R9S will go on sale in October 28 in China for 2799 Yuan in gold, rose gold and black colour variants. The Oppo R9S Plus has a 6inch display with the same full HD resolution. The Oppo R9S Plus has the newer Qualcomm Snapdragon 653 chipset that houses a octa-core setup of ARM Cortex A72 and ARM Cortex A53 CPUs running at 1.95GHz. Along with the new CPU it has 6GB of RAM and 64 GB of internal storage. The memory is expandable to up to 128GB with the help of hybrid SIM slot. The rear 16MP camera on the Oppo R9S Plus features 4K video recording and optical image stabilisation. No changes in the front 16MP camera though. The Oppo R9S Plus is powered by a 4000mAh battery that has the same VOOC fast charging capabilities. Oppo R9S Plus goes on sale in December and will cost 3499 Yuan.